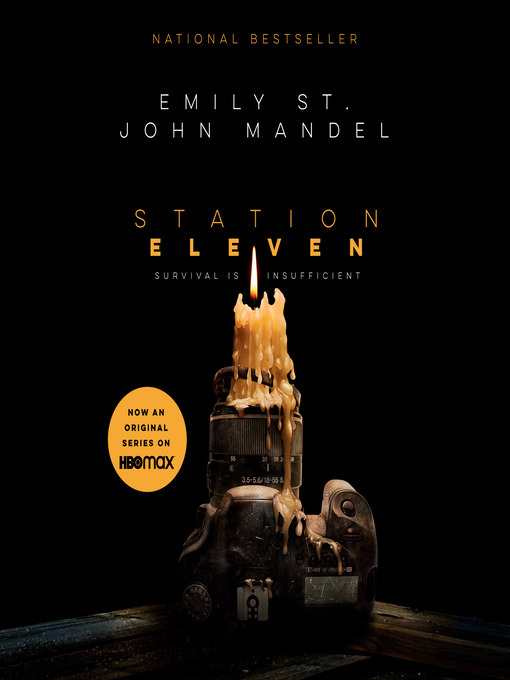 Station Eleven [electronic resource] / Emily St. John Mandel. [S.I.] : Books on Tape, 2014. An audacious, darkly glittering novel about art, fame, and ambition set in the eerie days of civilization's collapse, from the author of three highly acclaimed previous novels. One snowy night a famous Hollywood actor slumps over and dies onstage during a production of King Lear . Hours later, the world as we know it begins to dissolve. Moving back and forth in time-from the actor's early days as a film star to fifteen years in the future, when a theater troupe known as the Traveling Symphony roams the wasteland of what remains-this suspenseful, elegiac, spellbinding novel charts the strange twists of fate that connect five people: the actor, the man who tried to save him, the actor's first wife, his oldest friend, and a young actress with the Traveling Symphony, caught in the crosshairs of a dangerous self-proclaimed prophet. Sometimes terrifying, sometimes tender, Station Eleven tells a story about the relationships that sustain us, the ephemeral nature of fame, and the beauty of the world as we know it.